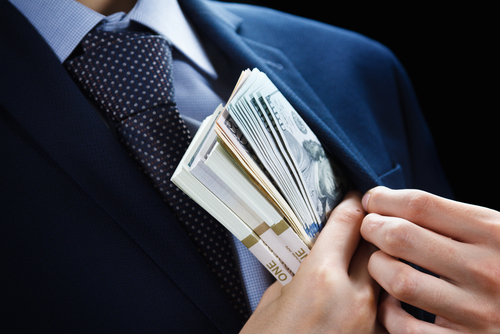 How Corporate Fraud Cases Can Affect A Business Financially? Fraud can happen to any business, whether big or small. Any person from your staff can commit the crime, which is why you need trusted financial planners such as Capstone to help you with managing your finances. But if fraud does happen to your company, you should be aware of the potential consequences it could bring. Take a look down below at how fraud can affect your company’s finances. Investors and creditors can help support your company’s finances. Those two are crucial for businesses, especially if you’re a startup. You need funding to get your company up and running, and you usually get the money that you need through investors and creditors if you can’t produce a large amount straight from your bank account. When you need a budget for your business, let’s say when you’re planning to expand your company, you might go to banks and other money lending institutions to apply for a loan. But before you get the loan approved, the institution will check your financial status first. If they discover fraudulent activities in your financial statement, you’ll get marked down for bad credit, and it’ll be difficult to get a loan. You’ll most likely receive the same fate when you go look for investors. They steer clear from bad financial records like it’s the plague. It’s because they cannot fully trust you with their money. Fraud is punishable by law, and investors or potential business partners wouldn’t want to get involved in legal matters. Fraud sometimes takes a long time before it becomes known, but when it does, it affects the whole company. It will impact the productivity of each employee indirectly. When a fraud case arises, of course, there would be people who’d be suspects. Whether the employee committed the crime or not, everyone would be on edge. Such a huge issue can cause distress within the employees. Other employees would become suspicious of who would do such a thing. And all that time spent wondering gets wasted instead of finishing their jobs. If the workflow gets interrupted, then the money that flows also gets interrupted. When there’s a confirmed fraud case in your company, you could not only lose money that was stolen, but also money involved in lawsuits. When the crime is within your company, you can just fire the offender once he’s proven guilty. However, if one of your employees committed fraud against your clients, that’s a bigger problem. Your employees carry the name of your company, so if they commit fraud, they can take the whole company down with them. If the victim files a lawsuit against you, it may lead to a huge financial loss if it gets proven in court. Not only that, it can negatively impact your public image, which will be discussed next. Your company, like every other business, has its marketing techniques to build its brand. Your public image can be the cause of whether your company will grow or go bankrupt. If you have a good reputation, then it’ll be easier for you to establish trust between your business and your customers. However, fraud cases that have gone public, or when a client files a lawsuit against you, could tarnish your public image. Your customers could stop patronizing you, which could cause a decline in your profits. It’s especially harder these days to control what the public says about you since social media makes it easy for news to reach different parts of the world. Money isn’t the only thing that your employees can steal from you. They could also take your supplies, equipment, and merchandise, which indirectly causes you to lose some money as well. You’re paying for whatever material you have at the office and stealing tangible goods means taking money, too. Let’s say your employee takes home a box of bond paper every month to use it personally or resell it for his own good. Then you’ll lack supplies, which will force you to buy some more. Those purchases could build up over time. Then, you’ll also lose some money for the investigation to pinpoint the perpetrator. 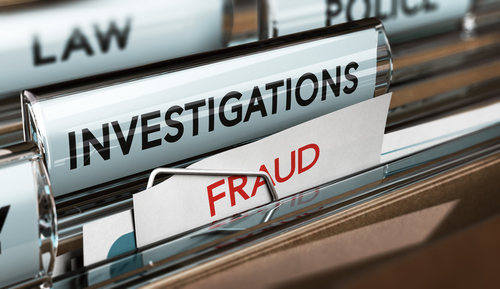 No matter how you look at it, fraud cases are always bad for business. The article above lists the many different ways it can cause a financial loss on your company. Fraud cases can hit you any time and may cause significant damages and inconveniences that can break your company once the issue comes to light.